If you are looking for a wall mounted heat pump at a competitive price the Mitsubishi SRK35ZSP-S is certainly worth considering. 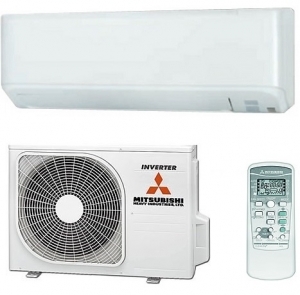 Energy consumption is rated at A++ on this model ensuring that the running costs are kept low. This performance is achieved by the advanced inverter electronics that constantly monitor and adjust the running power to meet demand. Amongst its features are a timer facility that can be operated via the hand held remote control, allowing you to set future on/off times to suit your requirements.